It is universally known as Metal Inner Gas (MIG) / Metal Active Gas (MAG), Welding Process using Argon Gas or Co2 Gas for shielding the weld pool to avoid oxide formation during welding. In this Wires of 0. 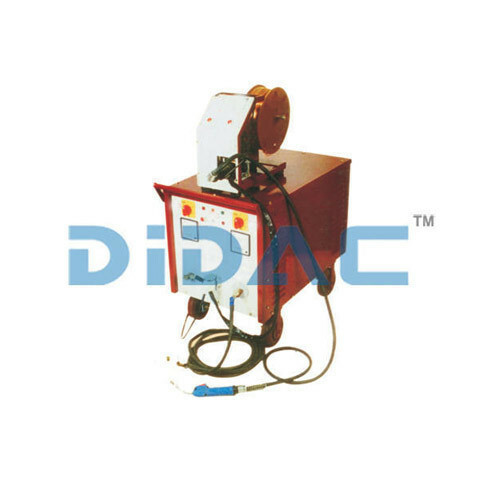 8, 1.2 or 1.6 mm is continuously/ intermittently fed through wire feeder Mechanism Torch to weld different types of jobs with the help of D. C. Power source. It is a sort of Semi-Automatic Welding Process. Recommended switch fuse rating (Type/Amps. ): TP/25 Amps.